Stoves are not something that can be easily repaired, especially if someone has a limited knowledge of different stoves and ranges or lacks the tools needed to repair them. With more than 30 years of experience repairing stoves and ranges of all makes and models in Aurora, Colorado, you can trust that I will be able to quickly identify what is broken on your stove and get you and your family cooking again. I work with many different styles and brands of stoves and ranges. When you call for service from South East Appliance Service, you can count on a comprehensive range of services, including general range repair services, gas range repair and electric range repair. A broken stove or range can be more than just an inconvenience; it can also pose a risk to your family and home, so I do my best to repair the stove as fast as possible. In addition to providing both electric and gas range repair, I can fix issues you may be having with your oven. 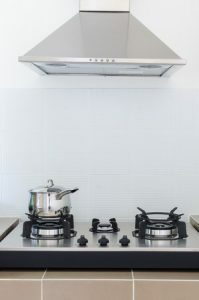 No matter what brand of electric or gas stove you may have, if it is not working properly, one quick call to South East Appliance Service from anywhere in the Aurora, Colorado area will connect you with the expert assistance you need to fix the problem quickly and efficiently. If your stove, electric range or gas range is in need of repair, call me today and let me check out the problem so that you can get cooking safely again. Schedule a service appointment today by calling 303-690-5417.